Ed note: If you’ve been PCS-ing, cleaning more ACUs than you care to remember or couldn’t live without your FRG, (and you can decipher all that!) then this is for you. 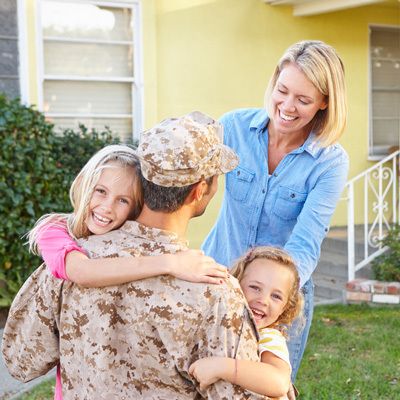 Here’s some tips on navigating the Military Spouse Residency Relief Act (MSRRA). Being a military spouse comes with a number of challenges. Perhaps the most difficult is coming to the realization that the military always comes first. Many military spouses understand this firsthand when they have to move to a new state, sometimes moving far from their home town or giving up a promising career. Relocating presents a unique set of challenge as well, including getting settled in your new area and finding a job. Until a few years ago, relocating to a new state also meant military spouses had to change their state residency. Thankfully, military spouses may not be required to change state residency under The Military Spouse Residency Relief Act (MSRRA) (50 U.S.C. Appx Section 571(a)(2)). This can make relocating a little easier, and possibly less expensive, when you file taxes. Prior to MSRRA (which passed in 2009), military members could maintain their state residency when the military sent them to a new state, but spouses had to change their residency. This often caused service members and their spouses to fill out multiple tax forms and sometimes file their taxes as married filing separately. MSRRA streamlines the tax return process by allowing both the service member and the spouse to keep the same state of residency, even after relocating to a new state (provided they were required to move for military orders). Here is an example. Let’s say the service member and the military spouse are both domiciled in the state of Texas. If the military member is required to move to California, both the military member and the spouse will to maintain their residency in the state of Texas absent a change of residency with the military. Both the service member and spouse must adhere to the tax laws in their state of residency. But because Texas does not have an income tax, neither person is required to pay state income taxes. If they were residents of a state with income taxes, they would both be required to pay those taxes to their state of residency, not the new state into which they moved. If this applies to you, then you will need to examine your entire situation to determine if it makes better financial sense to maintain your previous state of residency or change it with the military to your new state. MSRRA does not allow military members and spouses to choose state residency in any state they wish. The residency must be established first, and the move must be made for military reasons. The spouse and service member are both able to claim the same domicile. MSRRA can be a complicated law and it has been interpreted differently by the states, thereby requiring a fact intensive analysis to apply it to each case. It is strongly recommended that you speak with a professional at a military legal assistance office to help determine if MSRRA applies to your situation. If it does, you could save a lot of time on your tax returns, and possibly a lot of money!